Looking for a city that both parents and children can enjoy? Steeped in history and loaded with family activities, Boston is sure to educate and entertain! Hearing unique accents and visiting authentic neighborhoods, museums and world famous sporting events is sure to keep any family happy. Additionally, the compact nature of the city makes walking a breeze. This large museum is a host to some excellent and interactive exhibits. Think dinosaurs, mystical creatures, chick hatchings, a butterfly garden and more. We love the electricity show and the little monkeys. For younger children, explore in the Discovery Center. Most weekends, they offer story hour with live animals. You can review the MOS website for daily events and don’t forget to pre-order iMax tickets, because the shows sell out quickly. Additionally, you can catch the Duck Tours from here. *Note: You can see my previous Ciao Bambino post “Museums and Kids – A great Combination” for helpful tips on exploring museums with children. The 200,000-gallon glass tank is perfect for kids because they can put their faces right up to the glass and feel so close to the sharks, turtles, fish and eels. Additionally, the three variations of penguins put on quite a silly show. If you’re pressed for time, enjoy the seals outside and skip the seal show. For the summer months, there is a shark and ray petting tank that’s a big hit with the kids. The waterfront area around the New England Aquarium is fantastic! Walk across the street and grab lunch in Faneuil Hall. In the summer, the pop-up water fountain is on the way and a great place to cool off on hot summer days. You are also within walking distance to the North End (don’t miss this ethnic Italian neighborhood. Regina’s Pizza and Mike’s Pastry Shop are the best). The Red Sox, Patriots, Bruins and Celtics offer year-round sports entertainment. Look ahead for tickets and be prepared to shell out a pretty penny for good seats. These tours make the city come to life while giving you an overview of the city. Your kids will be involved from the beginning, quacking at people on the street (who quack back!) and playing captain of the boat while cruising on the Charles. I love to start a city visit with a tour to get your bearings and to see what piques your interest. *NOTE: The drawback of these tours is their popularity. You need to make reservations if you don’t want to wait for hours. 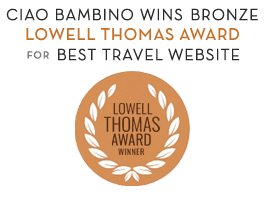 If your are traveling with older kids, you may want to also take a look at the Tomb,Urban Adventure Bike Tours and Little Feet Freedom Trail Tour, Boston Children’s Theatre and Wheelock Family Theatre.